This beautiful 2003 exhibits a dense ruby/purple color, a vigorous youthfulness, and plenty of mulberry, black currant and cherry fruit intermixed with notions of cedarwood, baking spices and roasted herbs. Ripe, medium to full-bodied, fresh and precise, this wine is just hitting full maturity where it should remain for another 10-15 years. Tasted from an ex-château bottle at BI Wine & Spirits Calon-Segur dinner in London. The 2000 Calon Segur is one of those wines that reminds you how great the millennial vintage could be. Now at fifteen years old, it has a brilliant, vivacious red berry nose infused with ash and cigar box aromas. The detail here is a beguiling and it just "sings" Saint Estèphe. The palate is medium-bodied with dense, firm tannin that provide a rigid backbone, but it is swathed in copious tobacco-drenched black fruit and a superb line of acidity. It finishes with a twist of bitter cherry on the finish that completes what is a deeply impressive Calon-Ségur; it might just outclass the 2005. Tasted March 2015. 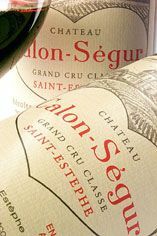 Softer extractions were the key to success in the 2010 vintage and for that reason Calon-Segur wines have performed brilliantly. The tannins here are so wonderfully ripe and integrated you are hardly aware you are in St. Estephe. Cool and fresh certainly, but with a softness and "liquid" feel on the mid-palate that's hard to describe but very welcome. Finishes with dancing complexity and persistence. Beautiful, classic Calon-Segur, with a long life ahead of it. The ever-gracious Madame Gasqueton greeted us warmly at 8.30am as her first tasters of the week. As always, Calon served as an excellent benchmark, and a tough act to follow, for the rest of the 2001s that we went on to taste. This has a fabulous nose of warm, exotic herbs and spices followed by a harmonious palate with a good concentration of minerally fruit, ripe tannins and tobacco and chocolate notes. The blend of 50% Cabernet Sauvignon, 35% Merlot and 15% Cabernet Franc combines beautifully to create a Claret-lovers dream. This is a wonderfully constructed wine, with very fine, silky tannins and an intense core of classic brambly St Estèphe fruit with a whiff of mulberries. It is pure and fresh with the 60% Cabernet Sauvignon - brooding, as if waiting to leap out - very much to the fore. This is completely different to their famous 2003, and although Madame will not be drawn on the matter, we certainly think it is considerably superior. The most northerly of all the Mdoc Grand-Crus Classs, Calon-Sgur is the chteau with a heart on its label. 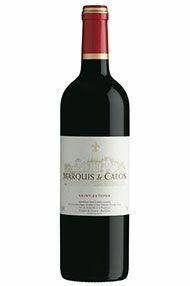 That is because the former owner, Marquis de Sgur, though he owned such Estates as Lafite and Latour, he declared My heart belongs to Calon. A`marvellous Valentine's Day gift for any mature Claret lover. 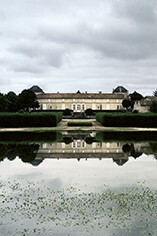 The first vintage without the watchful eye of Madam Gasqueton looks to be a fitting example from this historic château. Leafy hedgerow notes abound, with blackcurrant and Christmas cake aromas. There is an energy and freshness here that is reflected in the more floral red fruits coming through and the palate is a little more complex and firmer than most – you can tell you are in St Estèphe. Blackcurrant fruit with a menthol edge, rounded tannins and fine acidity that cuts through on the lengthy finish complete the picture. This is very serious wine. A pretty nose of raspberry and blackcurrant coulis leads to an elegant palate of fresh bramble fruit and black cherries. Calon-Segur is not a powerful wine in 2009 but it is sophisticated with fine, gentle tannins and a twist of sweet spice on the finish. The finesse of the tannins was noticeable , albeit totally absorbed by the glorious weight of fruit . There are layers of flavour and texture , and a beguiling combination of elegance and power , with an unusually high amount of Cabernet providing fine structure. Usually in the shadow of its sister property, Grand-Puy-Lacoste ( here with the exact samescore ) , this is more expressive than usual . The nose is opulent and inviting , but what follows is a model of elegance , with tannins , acidity and fruit seamlessly interwoven. Lovely fragrant nose of sweet red fruits on the nose, generous, sweet and crunchy red cherries on the palate, some very ripe tannins, and lovely balance. Long and fresh finish. Calon Segur was recently acquired by a French Insurance company and investments are starting to poor in to awake the sleeping beauty. The very experience Laurent Dufau and his team have produced a remarkably good wine in this difficult vintage which is a great 1st step for what will be one of the raising starts of Bordeaux. One to buy this year and one to watch. For the first time, some very young vines of Cabernet Sauvignon went into this blend. Dark, inky purple, the nose offers blackcurrant and dark fruits. On the palate, there is enormous concentration of dark fruit and the tannins finish softly, giving an overall impression of elegance. "..This 2004 comes across like their 1988. An unusually high percentage of Cabernet Sauvignon (70%) was blended with 30% Merlot, resulting in a dense ruby/purple-colored, slightly herbaceous Calon-Segur possessing a tapenade/olive characteristic along with plump, rich black cherries, truffles, underbrush, and black currants. Medium to full-bodied with plenty of sweet tannin, excellent purity, and a broad mouthfeel. It will require 3-4 years of cellaring, and should keep for two decades." What a fabulous nose of warm, exotic herbs and spices... The palate has good concentration of mineral fruit, ripe tannins, tobacco and chocolate notes. There is concentration here and a thoroughly exciting and rewarding freshness. The coolness is really delicious. Full-bodied, robust and with masses of sweet fruit, it is a really great effort in 2015. 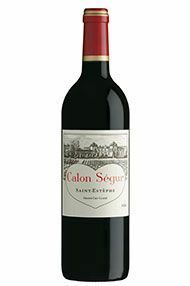 A really excellent Calon Ségur, it is one of the most complete wines we have tasted all week. Magical aromas of blackberry and blueberry compote with just a hint of mouth-watering vanilla make you want to dive in and embrace this beautiful wine. Packed full of concentrated black cherry and dark fruits of the forest it has a fabulous core that is very hard to top. Beautifully refined tannins coat this liquid centre. Exceptionally long finish that just leaves you gasping for more. Not as serious and St Estèphesque as 2010 but with more charm and opulence this could be their best wine since the brilliant 2005. Delicious. 2000 Calon-Ségur was the first wine I ever tasted from barrel and I can still remember the wine jumping from the glass. It is this bounce, this freshness, that I look for in Calon and, whilst the 2011 might not show the ripeness of 2009 or the concentration of 2010, it shows the exquisite precision and purity that is the hallmark of this property. Cassis and a hint of spice on the nose is followed by an intense, cool and lifted mouth that for me is pure St Estèphe. Stylistically this is the opposite of Cos, though equally impressive in its own, more elegantly classic style.